Back when I was a kid, defunct TV series might return with one-off reunion shows. In the 21st century, though, the trend tends toward “event series”, brief runs of episodes that go longer than a simple two-hour reunion would allow but stop well short of full-length seasons. In 2016, The X-Files returned via this format, and 2017 brought back Prison Break. That series had ended after four seasons, though it also tossed out a “post-script” movie. 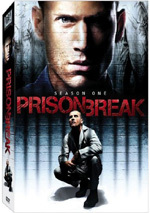 Prison Break: The Event Series spans nine episodes and brings back the crew from the original. This 3-disc Blu-ray set includes all nine shows, and the synopses come from the series’ website. 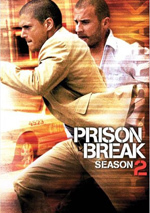 Even though I liked Prison Break during its original run, I must admit the series didn’t stick with me. This means I don’t remember much about it – it provided lively action melodrama that didn’t stick to the bones. “Ogygia” recognizes that it’s been a while since the series ended, so it largely acts as a refresher course. It still manages some new plot points, though, and these push it toward its narrative path in a reasonable manner. It’s not an especially compelling show on its own, though. With most of the expository preliminaries out of the way, “Outis” pushes the series on a more active path, though I’m not sure I care yet where it goes. Once we find out the endgame behind Michael’s situation, Break might pick up steam, but right now, it seems to spin its wheels. The Liar: “When T-Bag (Robert Knepper) runs into Sara, he tries to warn her about two of Poseidon's henchmen who may be following her trail. Prison Break always stretched the bounds of credulity, but so far, the “Event Series” makes the show’s original run look reality-based. In particular, Michael’s development seems far-fetched, and given that he remains at the core of the narrative, this makes the “Event Series” more and more difficult to swallow. The more I watch the “event series”, the more it feels like essentially a remake of Season One with some twists. I guess that’s not a terrible thing, but the “event series” needs to make a name for itself, something it hasn’t done so far. Even with lots of action and potential intrigue, I’ve not yet gotten drawn into this batch of shows. In terms of a story element, the choice to set a vast ISIL army after Michael and company seems either inspired or idiotic – or like much of Prison Break, both inspired and idiotic. While I kind of like that side of things, the rest of “Contingency” feels like a lot of violent energy without much real payoff. One problem with the “event series” comes from the lackluster nature of its new characters. While it can be fun to revisit the old personalities, the ones introduced here tend to feel contrived and annoying. They add to the lackluster nature of the “event series”, factors that continue to impact “Phaeacia”. “Sea” gives us “backward exposition”, as Michael explains the background for a lot of what we’ve seen so far. While I appreciate these details, they serve to make the series seem even more ludicrous and far-fetched. Still, at least “Sea” gives us a little more emotional charge, absurd as it all may be. As we lurch into the series’ finale, I continue to hope that we’ll find dramatic redemption. Unfortunately, “Progeny” comes with the same overwrought shenanigans that’ve dragged down the rest of the season. This leads to a lot of melodrama with little real impact, all wrapped up with a ridiculous character revelation. As I’ve mentioned, Prison Break always embraced the outrageous, but “Eyes” requires us to swallow so much absurdity that it goes off the rails. The inevitable conclusion doesn’t satisfy, so the “event series” ends on a lackluster note. 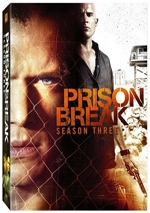 Prison Break: The Event Series appears in an aspect ratio of approximately 1.78:1 on this Blu-ray Disc. From start to finish, the episodes looked good. No significant issues with sharpness developed. Some wider elements seemed a bit soft, but those instances didn’t dominate, so the shows usually provided crisp, distinctive visuals. I saw no jaggies or moiré effects, and edge haloes remained absent. Source flaws were a non-factor as well. In terms of palette, the series opted for a stylized, with an orange or teal sense much of the time. Within those choices, the hues looked well-developed. Blacks came across as dense and tight, and low-light shots demonstrated nice clarity. All in all, I thought the series delivered fine visuals. 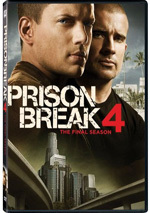 Expect positive audio from the DTS-HD MA 5.1 soundtrack of Prison Break. The forward spectrum dominated, as the shows featured solid stereo music and a good sense of environment. Elements meshed smoothly and moved across the domain well. In addition, the surrounds added some pizzazz. The back speakers used music well, and effects also created a fine sense of place. With a lot of action scenes, the shows gave us a reasonable amount of involvement, as gunfire, explosions and various vehicles utilized the surrounds in a satisfying manner. As for the quality of the audio, it seemed good. Speech always came across as natural and concise, with no edginess or other issues. Music was bright and clean, while effects showed nice reproduction. Those elements came across as lively and dynamic, and low-end response appeared deep and firm. The episodes consistently boasted positive audio. Among extras, we get a 13-minute, two-second featurette called A Return Home. It includes comments from creator/executive producer Paul Scheuring, executive producer/writer Michael Horowitz, executive producer/director Nelson McCormick, aerial cinematographer Ville Mj Hyvonen, director Guy Ferland, and actors Wentworth Miller, Dominic Purcell, Augustus Prew, Rick Yune, Amin El Gamal, Kunal Sharma, Inbar Lavi, Amaury Nolasco, Robert Knepper, and Mark Feuerstein. We learn about the Prison Break “reboot” as well as story/characters, cast and performances, sets and locations. A few decent nuggets emerge here, but most of “Home” seems fluffy and promotional. 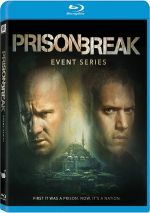 Although I enjoyed Prison Break during its original run, this “event series” seems much less satisfying. It feels like the new project does little more than regurgitate ideas without much creative spark. The Blu-ray delivers very good picture and audio but it lacks substantial supplements. The “event series” fails to revive old pleasures.